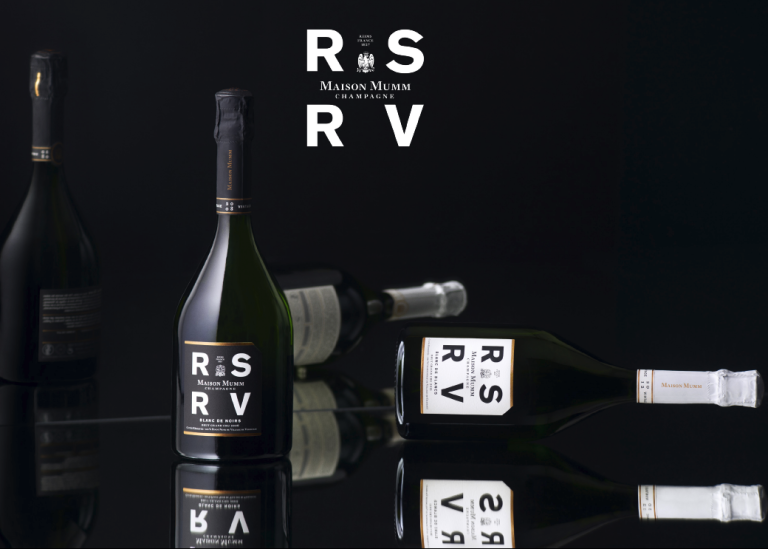 Maison Mumm introduces the exclusive RSRV range to Hong Kong at Two-Michelin Starred Pierre and Watson’s Wine. RSRV, a reference to the mark used by Cellar Masters to select and identify the best wines only from Grands Crus during harvest and bottle ageing, stands for ‘ReSeRVed’ and is a limited release only for a privileged circle of Maison Mumm’s friends. The range, presented in sleek and distinctive narrow necked bottles features a Blanc de Noirs 2009, Blanc de Blancs 2012, 4.5, and Lalou 2006. 4.5 and Blanc de Blancs 2012are available in time for the festive season, by the bottle from Watson’s Wine beginning November, and by the glass or bottle at Pierre through January 2019 as well as presented at an Oscar Champagne Dinner at Bibo on 10thNov. RSRV has been created to shine the spotlight on the history of Maison Mumm's very own prestigious, secret cuvées. The aim was to perpetuate a circle of connoisseurs with the ability to appreciate the singularity of this cuvée. With this in mind, it devised the concept of making the bottles available in selected places and through the principle of cooptation. As a matter of fact, Blanc de Noirs is fully exclusive to a corporate customer in HK. Its name was carefully selected to pique curiosity. Simple and sophisticated, the four letters are like a language only recognizable to connoisseurs. It serves as a password, taking the initiated to the very heart of Maison Mumm, allowing them to discover these cuvées that are 'reserved' for them. Maison Mumm called upon renowned designer Thomas Erber to break away from traditional graphic codes, transforming RSRV into a powerful signal through its art. By adopting an understated aesthetic style, Thomas Erber put a very contemporary spin on the monogram principle. Only dedicated to members of the House and close friends, these cuvee's have become the favorite champagnes of great chefs. Today, Maison Mumm is reinventing the myth and expands this privileged circle to the fine connoisseurs.The headline « RSRV » is a reference to the mark hand-writes in the books to select the best wines during harvest and identify those in the cellars during bottle ageing. The RSRV stamp highlighted the best of Maison Mumm wines. “RSRV ” is an unmistakable branding element and a mysterious code that only connoisseurs can recognize and decipher. The iconic characteristic of the RSRV cuvees is the composition only made from Grands Crus. This cuvee is produced exclusively with Pinot Noir from Verzenay, the first vineyard acquired by Georges Hermann Mumm in 1840 and one of the 17 villages in the Champagne winegrowing region ranked as a Grand Cru. Blanc de Noirs bottles are distinctive for their narrow neck which allows the wine to develop more slowly so that it reveals aromatic complexity and elegance. Deep yellow in color with golden glints, the RSRV Blanc de Noirs 2009 has a hint of smoke on the nose before opening to rich notes of vanilla and pear marmalade and aromas of buttered croissant, while the structure and strength of the pinot noir are expressed with a straight mouth and a lot of tension at the end. In 1882, G.H. Mumm bought some vines in the village of Cramant on the highly prized Cote des Blancs, right in the heart of the Champagne region. This chardonnay Grand Cru is fresh, light and elegant – a remarkable champagne with matchless precision and finesse. Produced in limited quantities, it has a distinctive narrow necked bottle allowing the wine to develop more slowly, and a label with folded-down corner. This recalls the custom in bygone days of presenting the House’s friends with a bottle accompanied by name card of which the corner was folded down to indicate it had been delivered in person. Light and delicate bubbles dissolve in a bright and luminous liquid shot through with green and soft yellow glints. 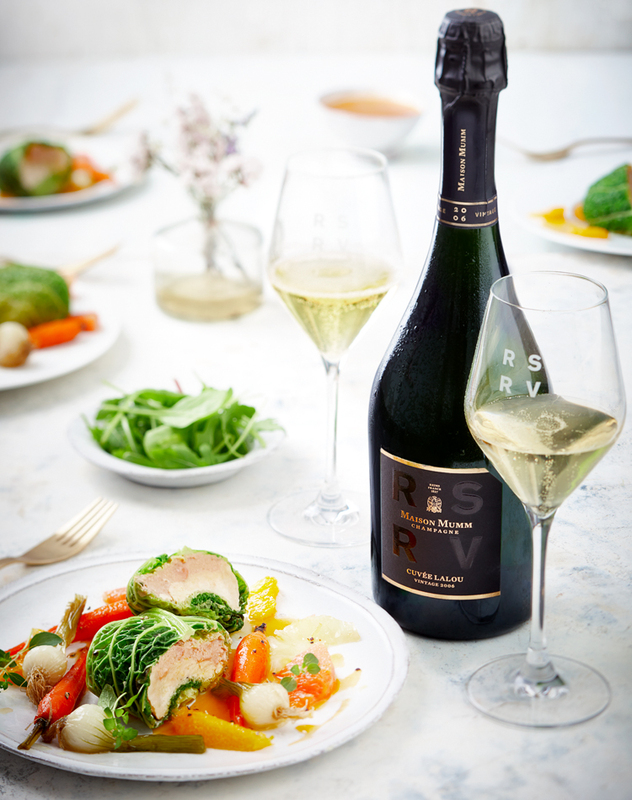 On the nose, RSRV Blanc de Blancs reveals notes of lime, white fruits and fresh flowers, while providing a very elegant and subtly mineral attack with a creamy texture that leads into a lively expressive tension in the mouth. Aged in the cellars for 4 years, made of a blend of 5 champagne grand crus, RSRV CUVÉE 4.5 is a tribute to the diversity and prestige of 5 villages: Verzenay, Bouzy, Ay, Avize and Cramant. This unique blend brings together Chardonnay (40%) and Pinot Noir (60%), all from Maison Mumm’s Grands Crus vineyards. The ninth cuvee Lalou; a legendary cuvée from Maison Mumm. Celebrated its 50thanniversary, it is produced rarely and only in the very best vintages since 1966. The 2006 Lalou is a crafted blend exclusively from Grands Crus: 50 % Chardonnay from the Côtedes Blancs and 50 % Pinot Noir from the Montagne de Reims. Of the 12 possible parcels reserved for Lalou, seven were selected for 2006 vintage. It is an iconic cuvee for wine gurus and gastronomy masters. An homage to the the avant-garde life of Oscar Wilde, Mumm will host a champagne pairing dinner on 10 November 2018 at Le Relais & Chateau Bibo, Limited to only 40 people, the dinner will be an evening of whimsy including a bow-tie making workshop, a lavish meal paired with the RSRV range, and a late night filled with music, champagne, intrigue, conversations and dancing into the early hours. Spots at OSCAR are by application only, those daring to apply can email reservation requests to rsvp@oscarhk.asia. The ticket price is $900 per head. In time for holiday gifting, the RSRV Cuvée 4.5 and Blanc de Blancs 2012 will be exclusively available at Watson’s Wine for sophisticated champagne lovers at HK$627* and HK$678* respectively. RSRV Blanc de Blancs 2012 and Lalou 2006 will be available at Pierre by the glass or bottle from Nov 2018.